The ear is a complicated place. The cartilage and soft tissue of the outer ear can withstand piercings, extreme stretching, and all sorts of contortions. And yet, the inside of the ear can be a particularly delicate place, where a slight imbalance of one or two things can cause major disruptions to your ear and even to the rest of your body. Then, there are the little things. Take ear wax, for instance. One of those things you may always be concerned with is having too much ear wax as it can block your ear drum, causing hearing issues and even pain. But did you know that too little ear wax can also be an issue? It, among other things, can be what causes dry ears. Dry ears can definitely be a problem. In this article, we’ll take a look at everything you need to know about dry ears. From what causes dry ears, to how to prevent dry ears, to home remedies for dry flaky ears, we will cover everything you need to know about dry ears. You are running around one day—maybe you went to the gym or just out to run some errands—and when you get home, you notice that you have dry skin in the ear canal. It’s dry, flaky, and, overall, kind of gross. How did you get dry ears? Basically, ear wax, that gooey stuff you occasionally clean out of your ear, keeps your ear moist. If that wax becomes too dried out or there isn’t enough produced, the skin around your ear canals can dry out, resulting in dry ears. And there a number of things that can dry out your ears. Dry climates, especially those of the dusty and windy variety, can cause the ear to dry out. Prolonged sun exposure can also cause the ears to become dry. Your ears can get a bit gungy and need to be cleaned every once and a while, but excessive cleaning can dry out your ears. This includes the use of cotton swabs that can not only remove the wax that keeps your ears moist, but they can also push collected wax into areas where it can cause irritation and infection. Irritation and infections can also cause the ears to dry out. Irritations can be caused by numerous things like allergic reactions or simple contact dermatitis from something like a harsh soap. Beyond those reasons, your dry ears can also be caused by other underlying skin conditions like eczema or psoriasis. Now that you know some of the factors that can cause a dry ear canal, the next step is to treat your dry ears. Luckily, there are a number of remedies that you can make in the comfort of your own home to help moisten the dry skin in your ears. There are a few home remedies that can help you with dry flaky ears. Most of these remedies require ingredients that are easily found in most homes. The main goal of most of these remedies is to moisturize the skin so it stops being dry and flakey. As we mentioned previously, your ears may be drying out due to environmental things like sun, wind, dust and dry climates. Washing your ears can do two things to help dry ears. It can help clean out the irritants that may be causing the dry ears like dust and dirt. Secondly, it can help reintroduce moisture back to the ear. Long used for a number of medicinal properties, olive oil can help you lubricate your ear. Treatment is as simple as taking a few drops and spreading the olive oil around your ear. If you find there is a period where your ears are drying out on a regular basis, do this once a week. This won’t work for every cause of dry ears, but it may help those with dry ears caused by a dry environment. Take a little bit of petroleum jelly and rub it into the ear. This can help lubricate the ears and stop what is drying them out. Of course, you may want to know how to prevent your ears from drying out and becoming flaky to begin with. Preventing your ears from drying out is, in some ways, easier said than done. 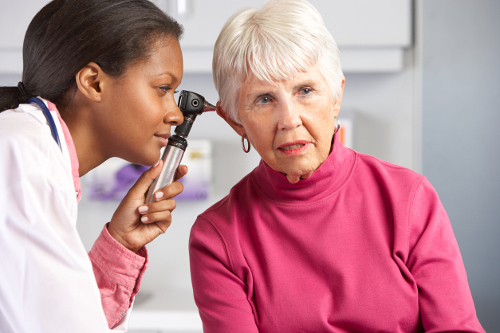 Dry ear causes like the environment and infections can be out of your control as can allergic reactions. But there are a few things you can try in efforts to prevent dry ears from occurring in the first place. Your body needs to keep hydrated in order to for your skin to stop from drying out. Drink plenty of water and this should help. When you notice your skin is starting to dry out, moisturize. This can help add moisture to your room/home that can help keep your ears from drying out. This is to prevent irritation and inflammation of the ears that could lead to dry ears. Hot water can help dry out your skin, so cranking the hot water back a little during showers and baths can help prevent your ears from drying out. You may also want to consider bathing a little less as bathing too frequently can cause your skin to lose oils that keep it moisturized. Using these tips, you may prevent your ears from becoming dry and flaky. It’s not a guarantee but there is a good chance that one if not all of them can help. Dry ears are kind of gross, inconvenient, and can be itchy and flaky. Luckily, there are a number of ways you can stop your ears from drying out. The key to all of it is to keep the moisture in and the ear well lubricated. Dr. Chris, “Dry Ears (Low Earwax) Causes of Dryness in the Ear Canal,” Health Hype, http://www.healthhype.com/dry-ears-low-earwax-causes-of-dryness-in-the-ear-canal.html, last accessed April 17, 2017. Erin, “Dry Skin in Ears,” Enki Village, https://www.enkivillage.org/dry-skin-in-ears.html, last accessed April 17, 2017. Marcin, A., “What Causes Dry Ears?” Health Line, March 24, 2017, http://www.healthline.com/health/skin-disorders/dry-ears#overview1, last accessed April 17, 2017.